I died and went to heaven when I tasted this chutney. The flavor of tamarind, although in this recipe is for an Indian dish, it brings me right back to Mexico where I grew up. Tamarind is sour, packs a punch of flavor, a good punch. You can make so many things with it, from candy to drinks to chutneys. It is a beautiful thing, tamarind. It is often used in Southeast Asian recipes, Indian, Mexican, so very versatile. 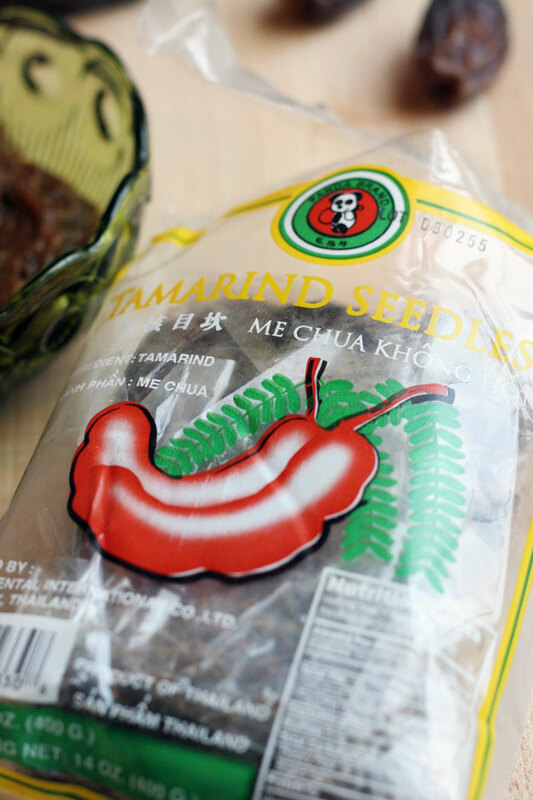 I keep a package of seedless tamarind bar on hand for several different uses. On this occasion I made a chutney to go with a traditional Northern Indian dish called, Chole or Chana Masala. It goes beautifully with the mild spiciness of the Chole and acid of the tomatoes. This chutney is mildly sweet from the date, a touch spicy from chile, and wonderfully sour from the tamarind. 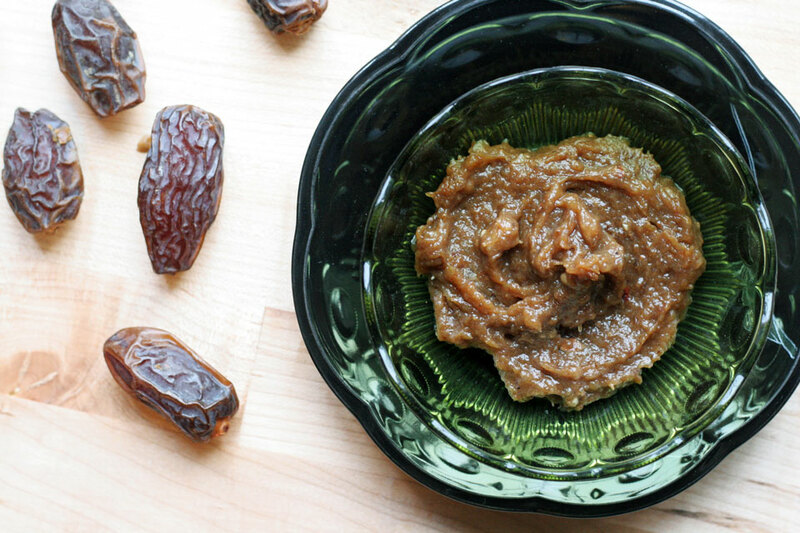 Note, how to use tamarind paste: Cut a chunk of the tamarind paste from the bar, about 4 oz. Pick out any missed pieces of seeds. Soak it in 1 cup of hot water to soften it for 15 minutes. Place in a sieve or sifter, use a spatula to press it through. 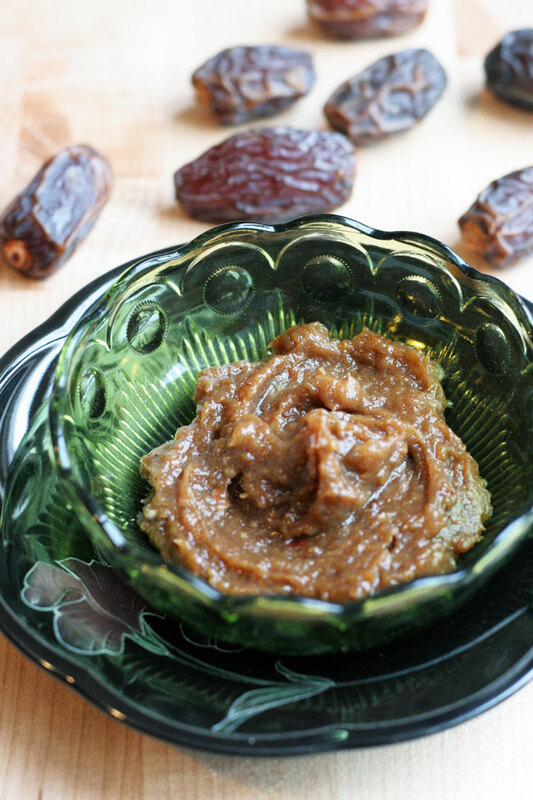 You will get silky smooth usable tamarind paste. You will be left with 1/2 cup. Use this to make the chutney. 1. Place all ingredients in a blender, or food processor. Blend until smooth. Taste for seasoning. 2. Serve with traditional Indian dishes like Chole.